Euphoria is a grassroots festival that has grown into top tier camping event featuring electronic, hip hop and jam acts like Bassnectar, Pretty Lights, Lettuce, Lotus, STS9 and Above & Beyond in Austin, Texas every April. The event grew quickly and organically thanks to its caring community of attendees, volunteers and staff, as well as the land it calls home: Carson Creek Ranch, an oasis about five minutes east of downtown. Euphoria’s team has always sought to create a community-driven, collaborative experience for its attendees through the incorporations of great acts, art installations, wellness workshops and onsite camping. But for the past two years, the Euphoria team has also focused heavily on making strides toward becoming a sustainable event with their “Ecophoria” mission. Ecophoria focuses on reducing waste at the festival, being good stewards of Carson Creek, promoting sustainability education and engaging with the local community to extend their mission onward even after the festival ends each year. Euphoria’s team realizes that becoming a sustainable music festival is no easy accomplishment. There’s no getting around the simple fact that events of this size necessitate large numbers of people from all over the world to travel through the campgrounds and event site, bringing with them tons of camping equipment, food waste and other unavoidable trash. This makes it seem nearly impossible to truly offset the carbon footprint. However, unlike many comparable events, Euphoria believes in transparency and is honest and reasonable about their approach. Their goal is simple – to do better – and they are taking actionable steps in order to make sustainability a reality. Euphoria brought on Wysidio to serve as the event’s sustainability director, a huge first step in striving for sustainability. While some events have begun incorporating sustainability efforts, hiring a sustainability director is still far from common practice. By incorporating Wysidio as a key member of the Euphoria team, the prioritization of their Ecophoria mission is clear. What exactly does Ecophoria’s mission entail? “Sustainability” can mean a lot of things to a lot of different people, but most immediately first think of waste reduction or recycling. This is certainly a large factor in the sustainability of a large event, but sustainability at its core is the intersection of environmental, economic, social and cultural considerations. This means that when it comes to sustainable event management, the possibilities are endless and it really comes down to focusing on the values that the event organizers want to prioritize. Wysidio’s goal is to ensure Euphoria does the best it can at keeping Carson Creek Ranch green and their carbon footprint low, by examining areas for improvement in the festival’s layout, management, day-of event and sustainbility communication. This also requires us to think outside the box on how we can keep costs low for a high environmentally-friendly impact. One of the major components of Ecophoria focuses on total waste reduction and emphasizes more waste-to-landfill diversion. This means more recycling containers, more resource recovery, a composting program and new policies aimed at encouraging attendees to bring less “stuff” to the event. Another component of the mission involves environmental stewardship of Euphoria’s home, Carson Creek, the body of water that runs through the property. 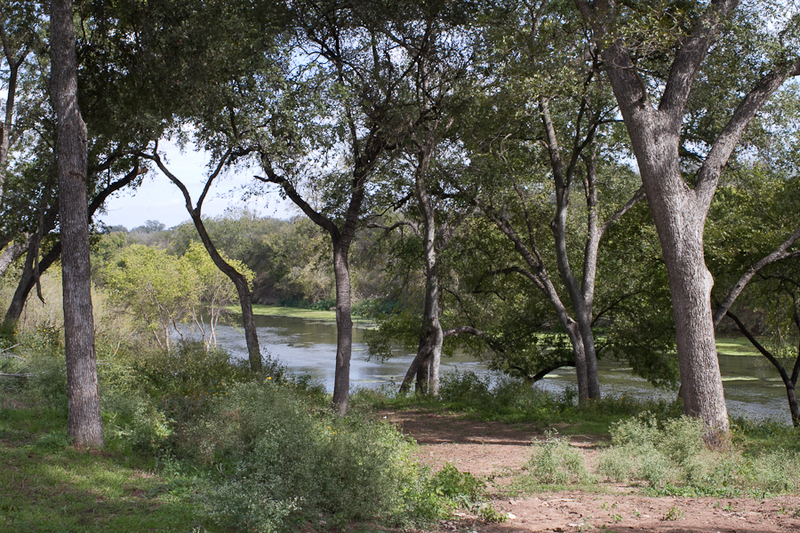 Euphoria is partnered with Keep Austin Beautiful and Chacos, and participates in least three creek cleanups per year, including one coming up on March 25th and one taking place during this year’s event on April 8th. Community engagement is something Euphoria is striving for, starting with their own festival attendees and carrying it on into the outward community during the rest of the year. The Euphoria and Keep Austin Beautiful relationship highlights another important aspect of the Ecophoria mission: building relationships within the greater Austin community. Euphoria also recently announced their new relationship with the Austin Permaculture Guild, which will help them extend their education mission throughout the event as well as the Austin community. The importance of sustainability education will be the most obvious focus in the 2017 event. Euphoria is working hard to inform campers on how to be more eco-conscious at the event and to do their part to keep the property clean. Signage at the events, educational workshops and social messaging is all focused on making the Ecophoria mission known and encouraging people to join and support the cause. Artists can apply to design new waste bins to catch passerby eyes, and attendees can also join the Green Team to help us in keeping Ecophoria running smoothly during the festival. Euphoria Music Festival is leading the way for sustainable music festivals, charting a path in which we hope to see other events follow. With a new music festival popping up nearly every day, it’s imperative that event organizers focus on more than the fiscal type of “green,” but also the “green” their event is hosted on. If festivals wants to survive in this oversaturated market, they need to begin showing their dedication to what music festivals are truly about: bringing people together to have fun and grow their love and knowledge for the people and world around them, especially the earth that sustains us and gives us ground to dance on. Euphoria is taking a stand and putting their money where their mouth is by hiring Wysidio as their sustainability director, earning quick wins on their path to accomplishing their long-term sustainability goals. Learn more about Ecophoria and this year’s Euphoria Music Festival, taking place April 6th through April 9th on the beautiful Carson Creek Ranch. Are you an event organizer and beginning to consider the environmental footprint of your event? We’d love to work together to keep your event green — contact us using the form below.